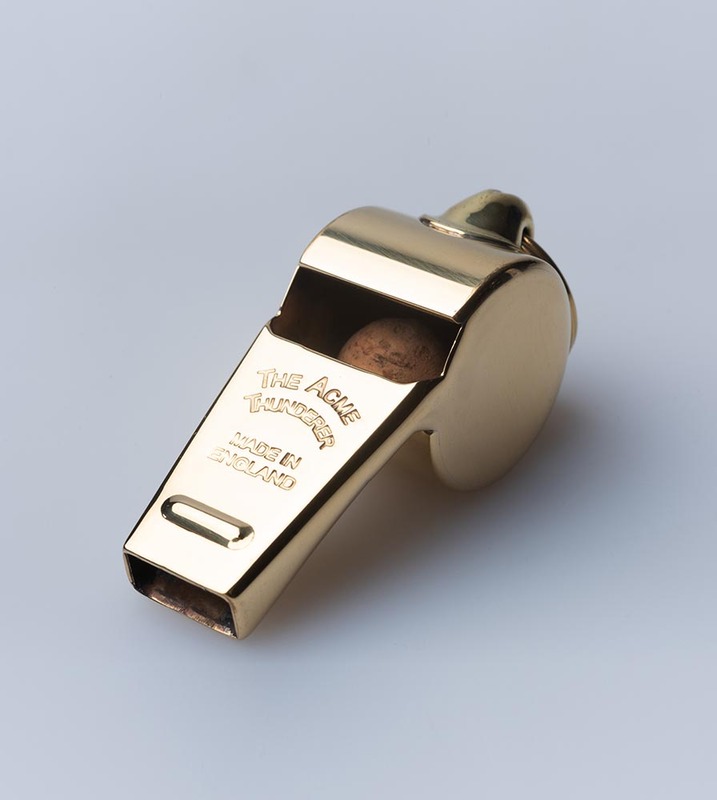 Acme Thunderer (Referee's) Whistle (58.5) Large. This whistle is a large sized whistle with a low pitch. Finish: Polished brass (gold color).